Whether it is with individual coaching, one of my training plans, the top-rated That Triathlon Show podcast, or the free Scientific Triathlon Resource Center, my goal is to help you become a better triathlete than you thought possible. Browse around and make yourself at home. If you want a few quick wins, I highly recommend joining the free Scientific Triathlon Resource Center. It is among my best work, covering training structure, nutrition, and core strength (more is coming!) and has already helped hundreds of triathletes. PreSENTED BY HEAD COACH MIKAEL ERIKSSON, M.Sc. I am going to write my training plan for the upcoming year, and was looking for a scientific approach to overall training. This was the twelfth site I visited in my search and it's the only one I use. Keep at it Mikael! The program covered all of the essential core exercises that I can think of. It is very time effective - which is good. If to long program there is a risk that it won't be done. Also, great explanations of the different exercises. The core programme is excellent. It feels far tougher than it first looks. Improvement in swimming, holding technique even as I start to tire. Could also be true on the run but hard to be certain. I will continue to follow advanced programme twice per week. Let's take the guesswork out of triathlon training! Get my very best triathlon tips right into your inbox (no worries - this is one of the few newsletters you'll actually want to read) in the Scientific Triathlon newsletter. 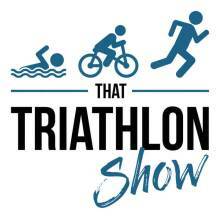 That Triathlon Show isn't your typical triathlon podcast. It's focus is 100% on helping athletes train smarter and race faster by giving actionable tips and advice. It's twice per week and it's free! I provide proven training plans that I believe are the best value-for-money plans put together so far (I know because I've bought so many of them myself). A few plans are available now, and more are added regularly. I also offer customised race plans tailored to your abilities, goals and constraints. Easy-to-follow plans for different athlete abilities, goals, and other constraints. These plans are more than just training programs. They're fully-fledged guides full with tips, education, and additional information. If you really want to get the best out of yourself as an athlete, whether you're a beginner or semi-pro, and whether your 4 or 34 hours per week, you need a coach. I offer remote individual coaching only to a select number of athletes (15). I also offer bespoke consultations (remotely) on specific topics (like how to use running power meters) or as a feedback and advice session on your overall triathlon training. I can help you train with structure, purpose, and the right progression. This will make you get faster, stay healthy, and enjoy the sport! Personalized feedback (almost daily), mentoring and support for your abilities, goals, and life situation. My approach is based on science, and precise planning, monitoring and analysis - but always with the practical aspect at the forefront. I'm an endurance sports fanatic and science nerd. I'm a competitive triathlete myself, but my real gift is in coaching, and in educating others get the best out of themselves. Until August 2017 I worked as an engineer in medical devices in Helsinki, Finland. But a what-the-heck-moment and flight ticket later I was a full-time triathlon coach living in Lisbon, Portugal, living my passion and loving every second! I've helped thousands of triathletes train smarter and achieve their triathlon goals through the education I provide in my newsletter (sign up here) and podcast (check it out). I coach a significantly smaller number of athletes (fortunately), but that really is where I can make the biggest impact through my coaching approach which is practical, but still very much scientific and analytical. I do love the data and numbers, and I'm very good with it, if I may say so myself. Most of all though, my approach is driven by my passion and dedication for my athletes' success. Personally as a triathlete, I focus on sprint and Olympic distance races at the moment. I want to really see how fast I can become on those distances. I've checked the boxes for top-10 finishes at the Finnish national championships at both those distances. The next goal is top-5, and after that, who knows? The sky is the limit! If you're interested in having me as your coach or just getting one or a few one-off consultations bespoke to you and your needs, send me an email to learn more and see if it's a good fit. Keep in touch on social media and email, shall we? I'd love to stay in touch with you on social media and email. I'm always open to conversations on Twitter, Facebook, and on email through my newsletter. Plus, on all of these platforms I'll share news of new epic Scientific Triathlon content so you can stay on top of it and not miss anything. Occasionally you may get a layman's terms translation on new research, or even a beginner quick-tip! Hundreds of triathletes have benefited already - and you're next! 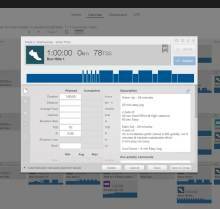 Effective Triathlon Training Blueprint video series - how should you structure your training to get the most out of your precious training time? Triathlon Specific Core Training Routines - prevent injuries and improve performance through better movement efficiency. Nutrition. Separating facts from fads. Daily performance nutrition, nutrition in and around training, and body composition management.